CALL NOW 214-265-7346 or 214-7525466. 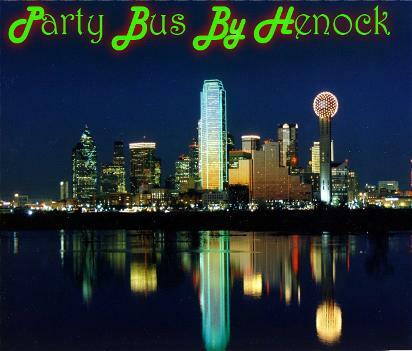 Party Bus by Henock Provides serves in the Dallas/ Fort Worth and surrounding Metroplex. We specialize in wedding, bachelor and bachelorette parties and prom but can handle any transportation event. Call today to see how unique we can make your event!